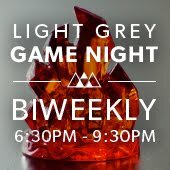 Think carefully and shuffle thoroughly, it's time for another Light Grey Game Night! Mark your calendar for Wednesday, October 15th from 6:30 to 9:30 PM! As you might remember, we're attaching a theme to each night to help people narrow down what games they might want to bring (although you're still welcome to bring whatever you'd like!). This week's theme is Deck Building, a Light Grey Art Lab favorite! Deck Building is a versatile game mechanic where players acquire card and add them to their deck, increasing their power and strategic options as the game progresses. 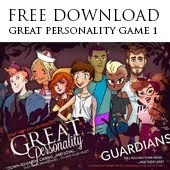 Deck Building games allow players to fight criminal masterminds with the help of powerful superheroes, or compete with other monarchs in a race to build the most impressive dominion, or carefully bluff dangerous enemy gangs in an effort to recruit desperate survivors in a frozen wasteland! We'll have deck builders of all types, from the game that defined the genre, Dominion, to epic co-op variants like Marvel: Legendary, to my personal favorite, Arctic Scavengers, among plenty of others! If you have a favorite boardgame, bring it! 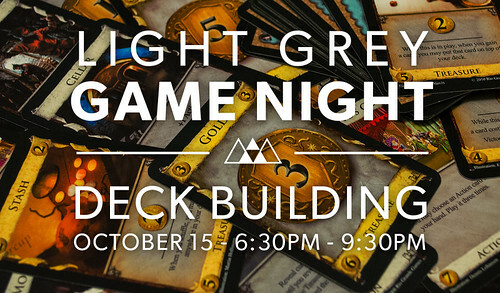 Also, here's a sneak peek at the next Light Grey Game Night, so you can plan accordingly! I'm working on genre games for college. That's an initiative by New Cambridge College in Australia. The suggest users should go to website and register for a game trial. Then, you can choose an avatar and play not as a student, but as an unknown member. Something like Ready Player One.